Are you looking for an opportunity to reduce the risk of crime? 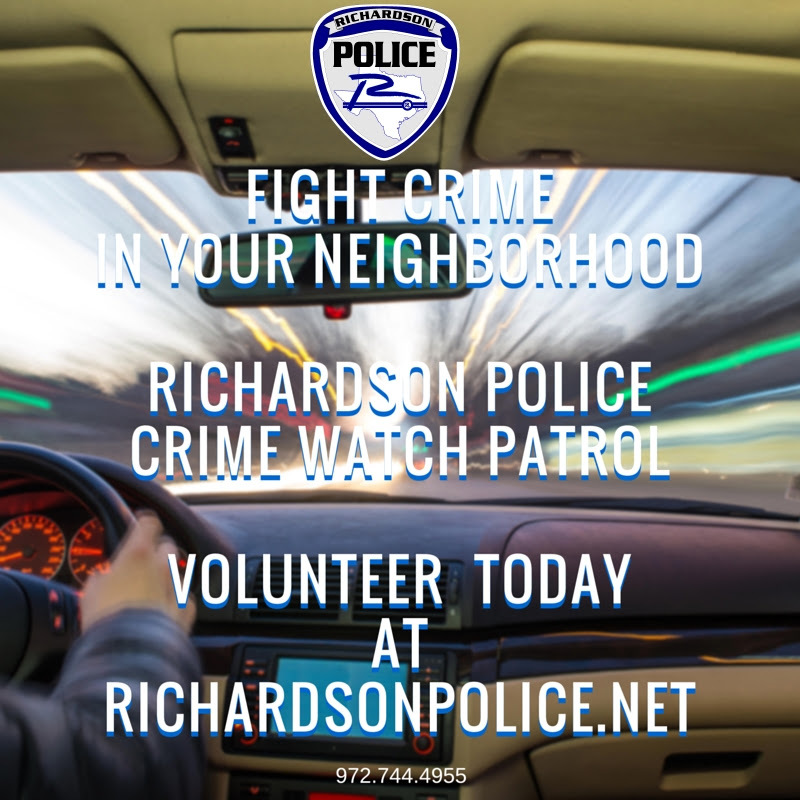 If you can spare an hour or two per month for your neighborhood then Crime Watch Patrol might be the opportunity you are seeking. Our next training class will be held on June 1st, 2016 (Wednesday) from 8:30am to 12:30pm. So if interested, please submit your application as soon as possible. To get started go to http://www.cor.net/index.aspx?page=512 and complete the online application. 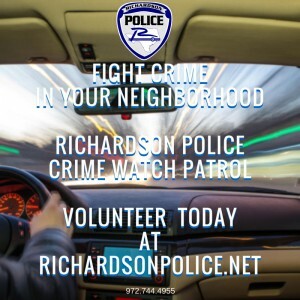 If you have any questions about this or any RPD program don’t hesitate to call the Crime Prevention Unit at 972-744-4955.